Voice Search - How can brands tackle the challenge of Voice Search SEO? How Can Brands Tackle The Challenge Of Voice Search SEO? This year, we are likely to hear that voice search is the future of doing online searches. Some of the largest technology companies out there are already investing a lot of money into developing this technology. Just a few years ago, we would have thought it strange to ask our smartphones or computers to perform tasks for us, but today no one even bats an eyelid at the suggestion. Over the past few years, the growth in digital assistants market has been phenomenal and this could be described as one of the fastest growing sectors of consumer electronics. For both consumers and brands, this can have a huge impact in the way that we use the internet to shop. For a start, online retail companies often rely on SEO and search marketing to drive organic traffic to their site. Many of these retailers and brands are only now coming to terms with the changes that are taking place in SEO since the rise in mobile device searches only to find that voice search now represents a whole new host of challenges. For example, people tend to use a much more conversational tone when they use voice to search, and keywords and search phrase construction will need to change accordingly. Retailers will also need to work out how to market their products to appeal to users of voice assistants and will have to pay particular attention to featured snippets. The infographic below not only explains the changes that voice search is bringing to consumers but also to retailers. One key example is that the language used for voice search is different to the language used in typing. It is not uncommon for voice activated searches to be longer than 10 words, making natural language keywords the next thing for SEO optimization. In time, online shopping will be easier for consumers thanks to the use of voice search, especially as voice assistants start to become smarter. The retailer will have a lot of changes to make which will be both time consuming and potentially expensive, but it will be worth it in the long run. In order to optimize a website for voice search, brands need to take some key points into consideration. SSL Implementation: One of SEO Tribunal’s infographic shows that 70.4% of Google Home results are secured with HTTPS, therefore brands that have not yet implemented this type of security should definitely think about putting it on their to-do list. 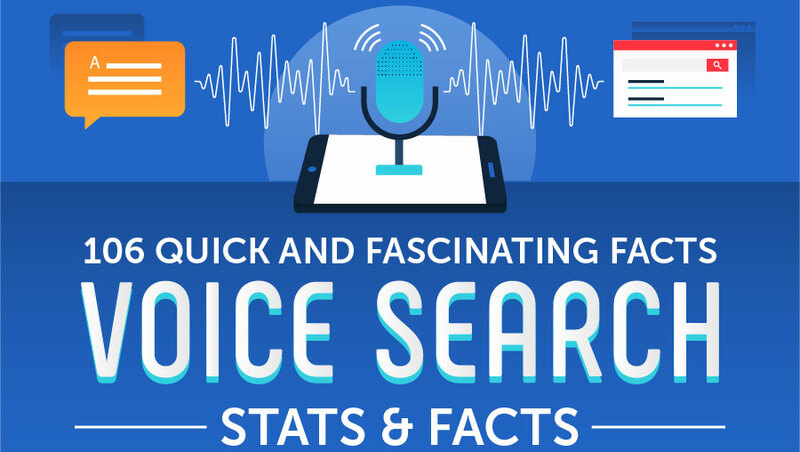 Load Speed: The average voice search results page will load in 4.6 seconds, so brands should ensure that their pages load as quickly as possible in order to reach the top spots. Content Length: Long content seems to work the best, as the average word count of a voice search result page is 2,312, meaning that short content is soon to be no more! To find out more information about the changes that SEO may bring to your business and what you can do to stay ahead of the game, you can check out the infographic on this page which is bursting with useful information. Find out about the best way to optimize your site, how people are using voice search, and the steps you can take to rank at the top of a voice search query.